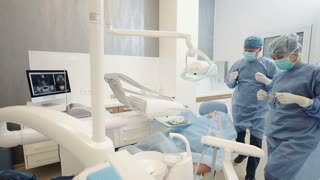 Laughing doctor gesturing with hands. 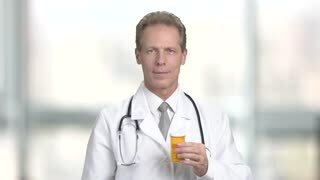 Happy male doctor with crossed arms, blurred background. People, medicine and healthcare. Middle aged doctor gesturing ok. 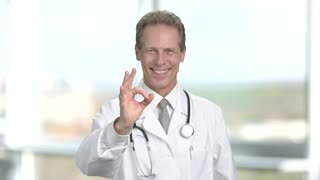 Happy male doctor showing ok sign, blurred background. Medicine and healthcare concept.